In my 93 Van I have a total of 4 boxes in the engine compartment. 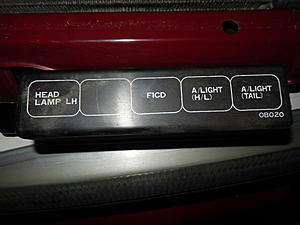 2 are right in front of the battery and wiper fluid. 1 is located on drivers side fender well and the other is on passenger side fender well. I got this van in a swap 3 years ago from an aquaintance with a brain injury so he had memory issues. Anyway I have no tail lights, parking lights or dash lights. Also my ABS light is on. In trying to do some investigating I thought ok start with fuses so I checked the fuses inside the van near drivers door, nothing for those lights there. I moved onto the engine compartment and saw these 4 boxes. 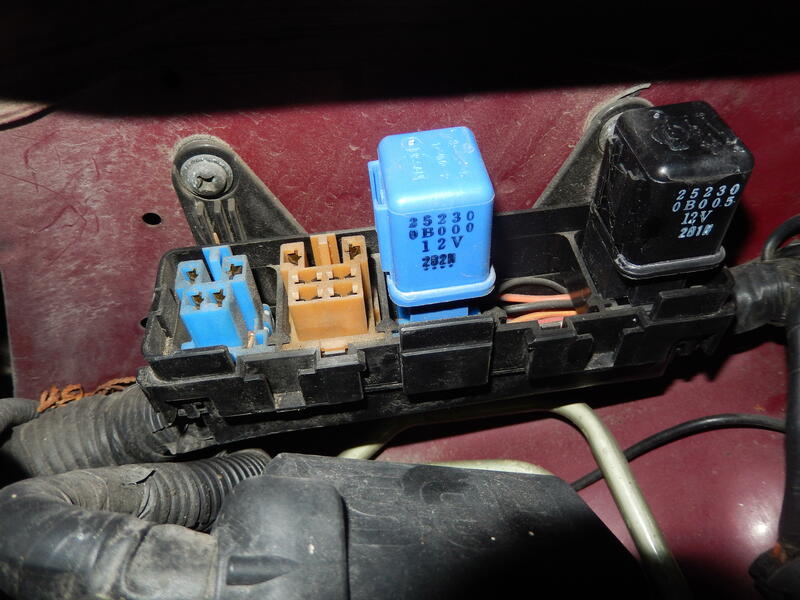 I am getting conflicting reports in the Haynes Manual but there is a diagram in the Owners Manual on page 277 which shows the one on drivers side is called Main Fuse Panel. The small one at front they are calling High Current Fuse Panel and larger one to the right side of that they are calling Relay Box and the one located in fender well on Passenger side they are also calling Relay box. This is the one in question as the other Relay box does not seem to pertain to lighting issues. When I lifted the lid on the passenger side Relay box it appears 2 are missing in the same spot that the A/LIGHT (H/L) and the A/LIGHT (TAIL). It looks like there is a blank in there too that is shown on the lid. There is also a RH HEAD that is in there and both my Headlights work as do my Brake Lights. I think there is also Relays nest to fuses on the inside of the vehicle as well. I just need help in knowing if I need to buy 2 relays for the ones that appear missing and if that would fix my problem of no dashlights tail lights and parking lights. 1996 Sable-Can't open ashtray compartment!